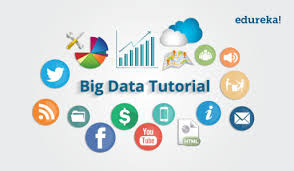 Big data is data sets that are so voluminous and complex that traditional data-processingapplication software are inadequate to deal with them. Big data challenges include capturing data, data storage, data analysis, search, sharing, transfer, visualization, querying, updating, information privacy and data source. There are a number of concepts associated with big data: originally there were 3 concepts volume, variety, velocity. Other concepts later attributed with big data are veracity (i.e., how much noise is in the data) and value. Lately, the term "big data" tends to refer to the use of predictive analytics, user behavior analytics, or certain other advanced data analytics methods that extract value from data, and seldom to a particular size of data set. "There is little doubt that the quantities of data now available are indeed large, but that’s not the most relevant characteristic of this new data ecosystem." Analysis of data sets can find new correlations to "spot business trends, prevent diseases, combat crime and so on." Scientists, business executives, practitioners of medicine, advertising and governmentsalike regularly meet difficulties with large data-sets in areas including Internet search, fintech, urban informatics, and business informatics. Scientists encounter limitations in e-Science work, including meteorology, genomics, connectomics, complex physics simulations, biology and environmental research.